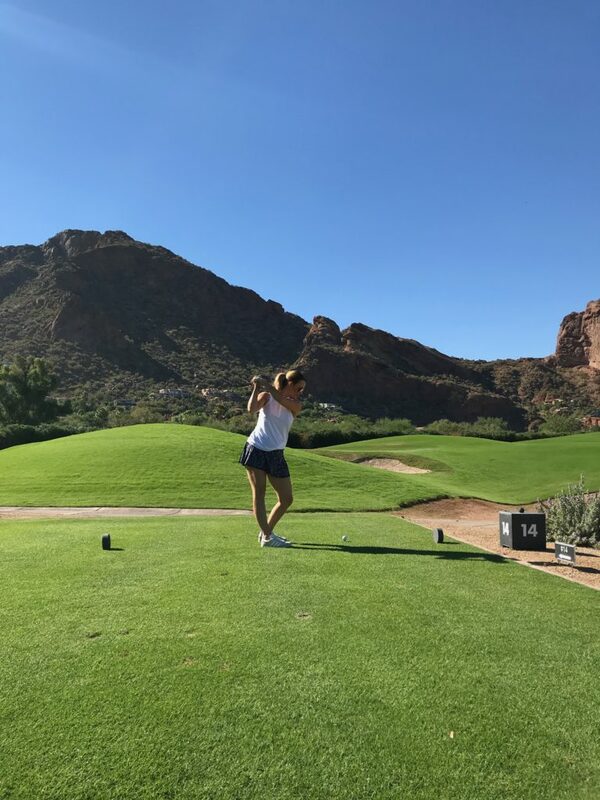 This past weekend, I had the pleasure of being hosted by the team at Mountain Shadows Resort in Paradise Valley, AZ. 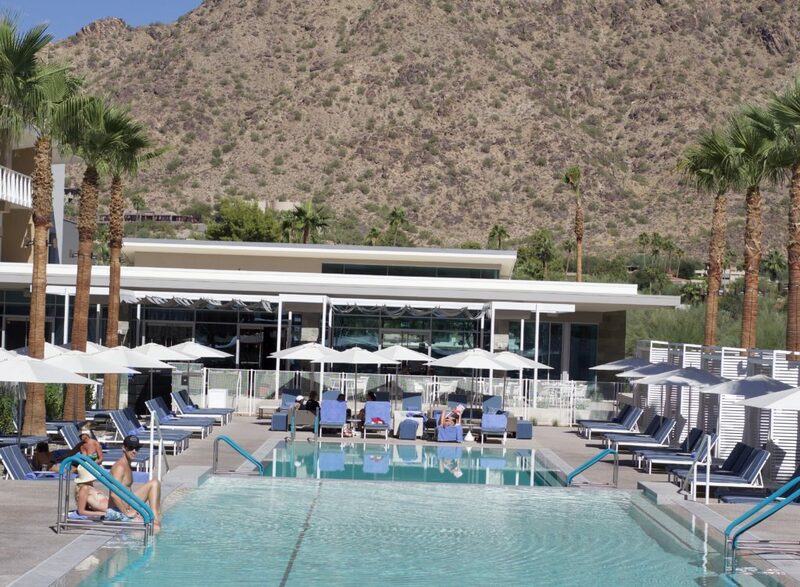 My husband and I got to enjoy a little staycation, and I got to review a lot of the different amenities and offerings that the resort has. 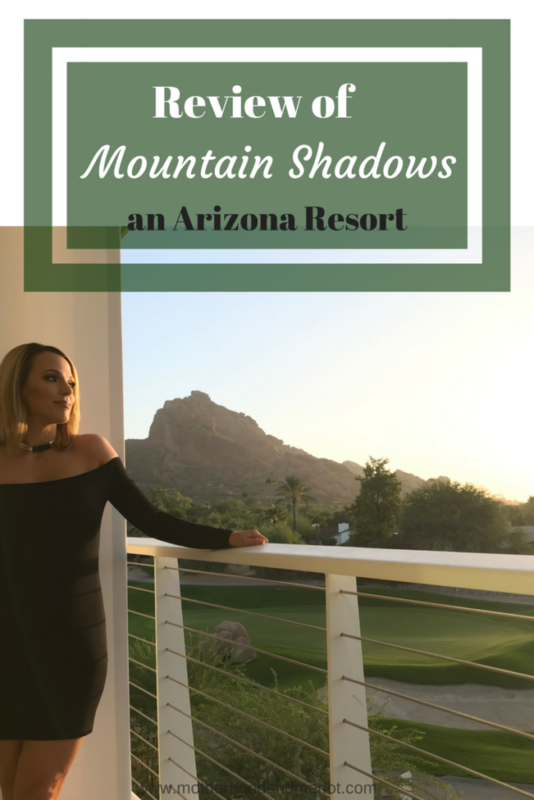 Here is a compilation of our visit and a full Mountain Shadows review of the resort. 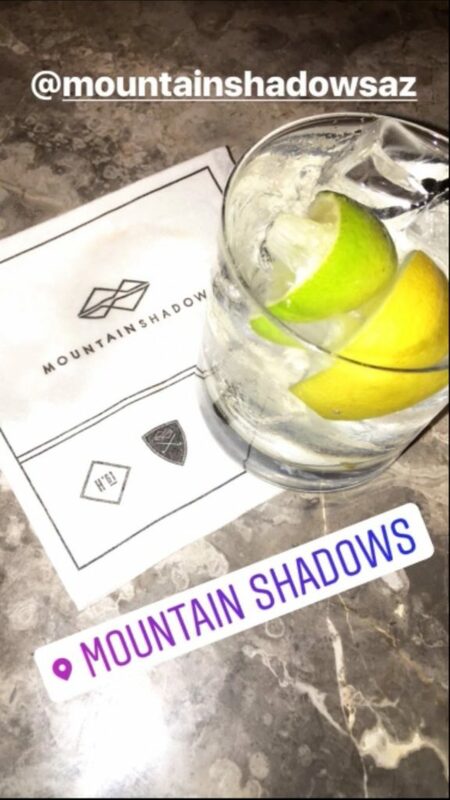 *Our visit was hosted and taken care of by Mountain Shadows Resort. All of the opinions in this post are my own and 100% honest based on our stay. I would never recommend something that I did not fully support myself. Mountain Shadows is located in Paradise Valley here in Arizona. I wish the front of the hotel matched the inside in terms of how eye-catching and stunning it is. It has bene redone from the home that was once there in the 1950’s, into a modern and stunning upscale resort. The interior is amazing, and the artwork that is included all around the ground really ties into that modern feel. Below is an image from the original hotel. The room was absolutely beautiful! The best part about ours was the gigantic tub that overlooked the mountain and the golf course. Everything was in pristine condition, and the staff their were so nice and on top of their game. My favorite part had to be hanging out, in my robe, in the morning out on the balcony. The views were beautiful and the temperature in the mornings is amazing right now. Plus, it was SO QUIET, and for this mama of four, that is a total win! You almost don’t feel like you’re in the desert anymore staying here, because of all the green from the golf course and the views surrounding the pool. The pool was really nice. We spent the day on Sunday relaxing there in a cabana that was rented out for us. It was very quiet and calm, not a party atmosphere or anything of that nature. The one thing I would note is that there wasn’t a ton of staff, and I feel like there could have been a few more people there to help out because our waitress was running around all over the place. The views from the pool were, again, amazing, and the atmosphere was serene and peaceful, but still fun for us. It was the perfect spot for a couple trying to relax, or girlfriends trying to wind down. They are doing construction right now during the week, so I would recommend checking this out on the weekend, as the construction on the condos is right by the pool and quite loud. We dined at a few of the places that they have their. First, we enjoyed dinner at Hearth ’61, which was PHENOMENAL. I kid you not, it was some of the best food I have had. Their plates were a perfect size, so you didn’t leave feeling overly full. 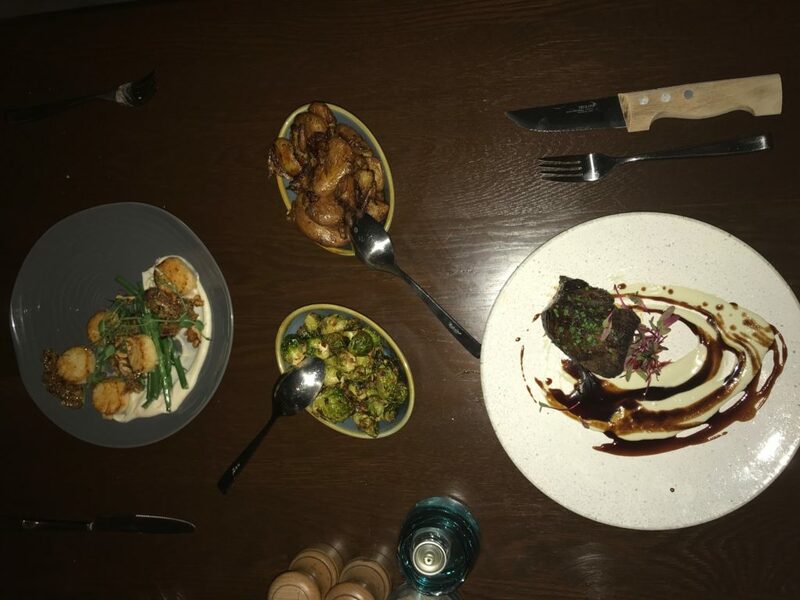 Everything, from the prawn appetizer, to my scallops, and my husband’s steak, were so delicious. I would say that this is more on the pricey side, so if you are looking for a special occasion meal, or a place to take family from out of town, highly recommend trying this out! We also checked out the lounge at Hearth ’61 after dinner, and were really impressed with their drinks and the quality of service. It is right next to the restaurant, and overlooks outside and one end of the pool, which was nice. It wasn’t extremely noisy or distracting, and as I said, the servers were great! We ordered room service for breakfast one morning, and I will say that while the food was decent, it wasn’t anything to write home about. I also wish they had more options on their in-room menu. One night, we wanted to just eat in, but really didn’t find anything on the menu appealing, so we DoorDashed to the resort instead. Their staff, however, is very wonderful and the service is great. Rusty’s is the golf course bar and grille, and we ate a quick lunch their after playing a round of golf. The food was good, and well priced. Speaking of, the golf course was seriously one of my favorite parts of our visit! The views from the course are breath-taking, and the course itself is called “The Short Course”, because all of the holes are short in length. I love that because I don’t do well with 250+ yards to a hole. The game takes too long for me that way. We finished all 18 holes in under two hours, and we had a blast doing so. This is something that we will be going back to do again, soon! So I am not a golfer at all but Mountain Shadows Resort looks amazing nonetheless. I love that pool and that tub thing…please say it massages you!!! Those mountains of Paradise Valley in the background of your pics look great. Would probably want to go there to do a little hiking then head back to cool off in the pool then cocktails! 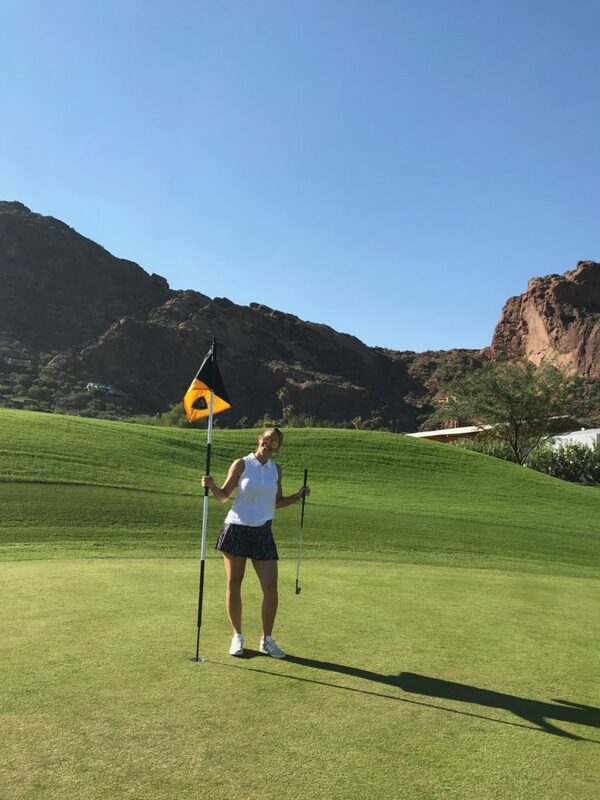 Joanna, it looks like you had a fabulous time vacationing at Mountain Shadows. What a lovely resort. 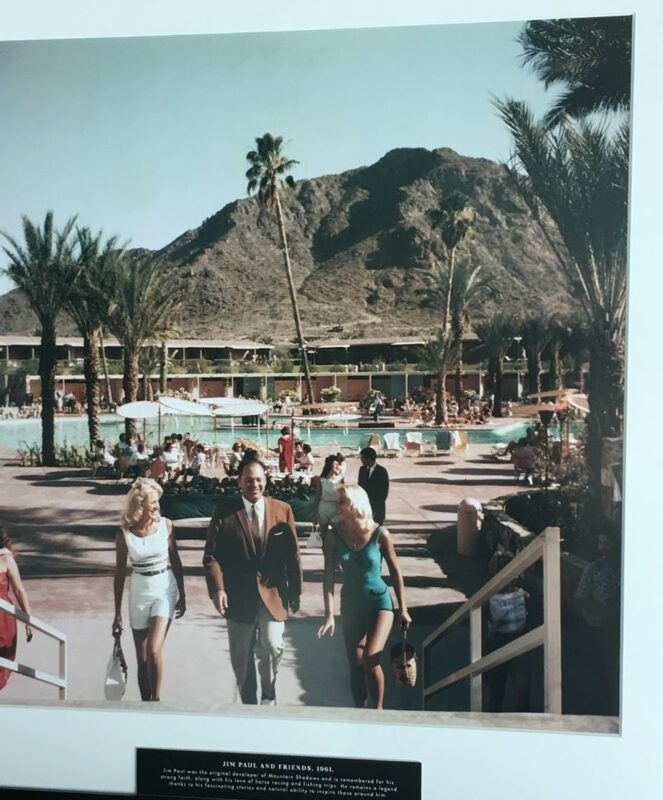 Thanks for giving us a sneak peek along with some great information about the history of this resort and its current amenities. Looks like a really calm and relaxing vacation! Also, it looks so beautiful! Looks like an amazing place to be for some rest and relaxation. I love that tub. Nothing better than to relax in a tub facing a fantastic view of the mountains outside.